미국 하이엔드 진공관 앰프 전문사인 콘나드존스의 진공관 인티앰프 CAV-45 전시상품 입니다. 특유의 질감과 부드러우면서 구동력을 동시에 가지고 있는 진공관 인티앰프 입니다. 매장 전시상품으로 신품과 동일한 컨디션을 가지고 있습니다. 외관 : 신품급 매장 전시상품 입니다. 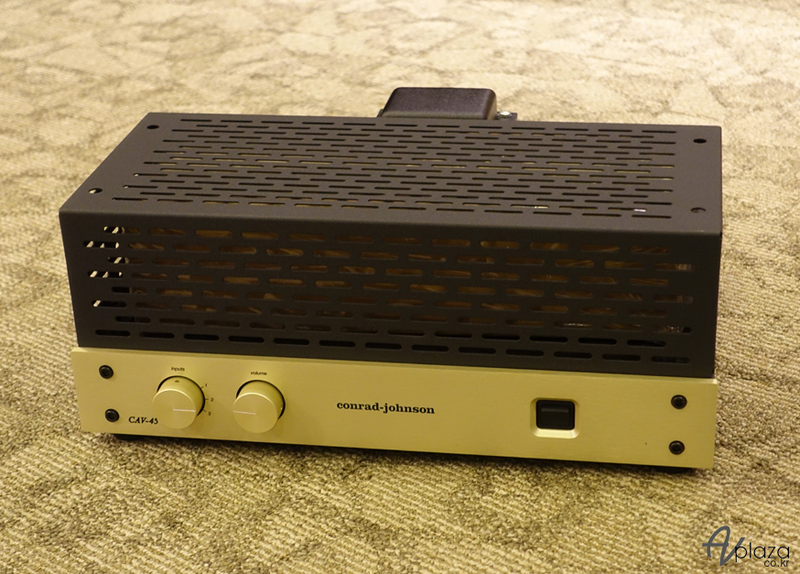 We are pleased to announce the new conrad-johnson CAV-45 control amplifier, designed to satisfy the needs of those seeking a high-quality vacuum-tube integrated amplifier. The CAV-45 employs a pair of classic EL34s in each channel to produce 45 Watts per channel. 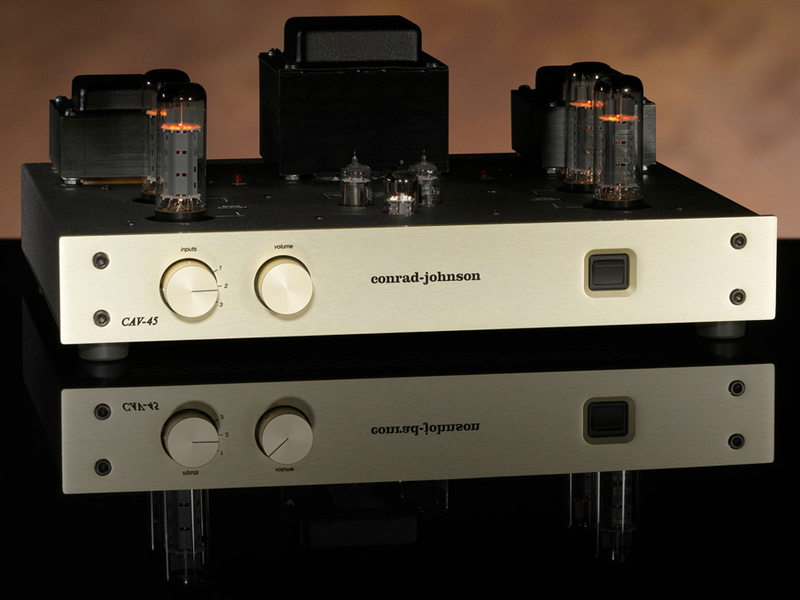 As with all conrad-johnson tube amplifiers, output tube biasing is simplified by the use of our built-in bias circuit. The CAV45 accepts three line-level inputs. Exceptional parts quality is the rule at conrad-johnson, and to this, the CAV-45 is no exception.